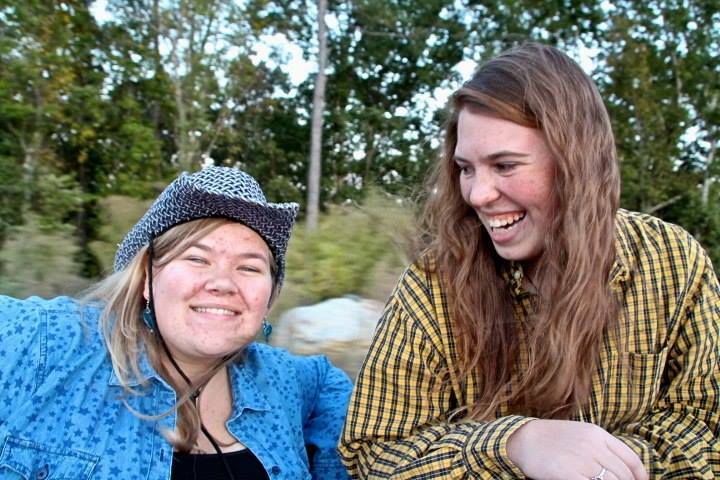 What do you get when you combine college students, flannel, bales of hay, a dunking booth, root beer, a roaring fire, a wood chopping contest, and square-dancing? A HOEDOWN! 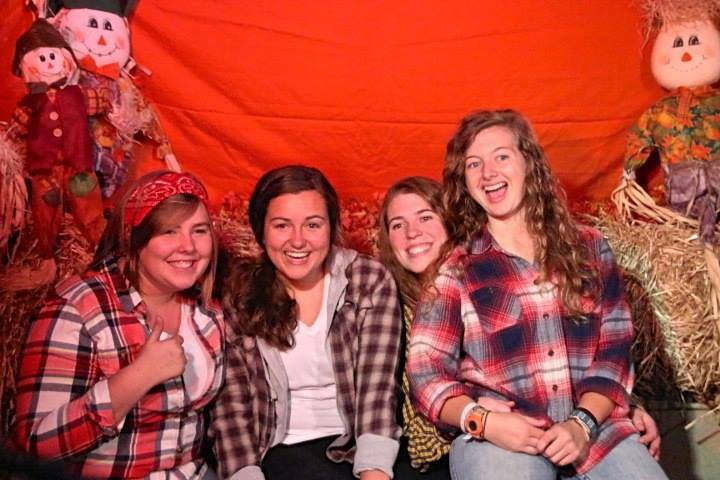 That’s right, last night the CIU student body gathered in the woods on campus at the pavilion and had a fantastic time! I have to admit, as someone who has always had a weakness for cowboy boots and dancing, I was sure in my element. The weather was cold enough to keep you dancing, and there were plenty of partners to go around. My friends Amy, Helen, and Elizabeth hitched a ride in the back of a pick-up down to the pavilion, and then hung out until the rest of the gang got there. There was tons of food, and there was even a pump keg of root beer. The photobooth was up and running and Amy took pictures for the night. As soon as there was enough people, we started up a circle and learned some moves. Pretty soon we were square-dancing all over the floor! we had the usual fun extra things, like painting a pumpkin, all the fall food you could possibly eat, and the contests. There was a wood chopping contest (which generally, all the manliest men tried for), and then there was the pie eating contest. A girl from my hall (and Helen’s roommate), Sylvia, was in it as well as my RA from last year, Challie. Each had a fourth of a pumpkin pie set before them, piled high with whipped cream. Now, let me tell you a little something about Challie: Challie cannot (and I mean CANNOT) stand the texture of whipped cream. She just can’t. Last year, as a joke, we sprayed almost a full can of whipped cream into her mouth and then watched her paralyzed attempt at waddling to a trash can to spit it out. 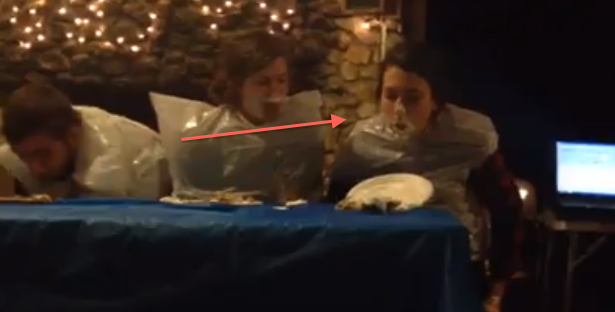 So imagine for yourself, this lovely RA, face first in whipped cream and pie. It was a fantastic sight! 😀 Challie didn’t win, but she did have a good time, and all of us made sure give her an extra big hug when it was over. If you have never had the pleasure of going to a hoedown, you need to find your local ‘giddy-up’ joint, and head there immediately. Bring along a couple of good friends and have yourself a fine time! Don’t forget those boot-scootin’ boys as well! If he doesn’t know how to dance, then yee-dawgies!, he better be learnin’ mighty quick, ya hear!? And to all you guys out there, listen to this and listen well: All girls like a man who can dance. And all God’s cowgirls said: YEE-HAW!